This year, 2018, marks the 100th anniversary of a fantastic principle which was first proposed in 1917. Although, many performers are unaware of this today, here are a few hard hitting card mentalism routines based on this fantastic principle combined with what I would like to call "Multiple Ins" principle (as opposed to the well known Multiple Outs principle). Well, the intention is to continue the suspense about what this principle is, into the first few pages of this ebook. There are 3 stunning routines, several variations and a secret bonus. All the routines are mostly self working. After initially shuffling the deck, the performer tables it and never touches it again. So they are hands off too. There is good audience participation, ranging from 2 to 8 audience members who can be invited to participate in the routines - all depending on how long you intend to perform the routine. These can be played as either prediction effects or mind reading effects. The secret bonus will be surely appreciated by the fans of this great principle. All the routines appear very direct and end with an exciting climax. This is another nice deck stack which has been out for awhile. 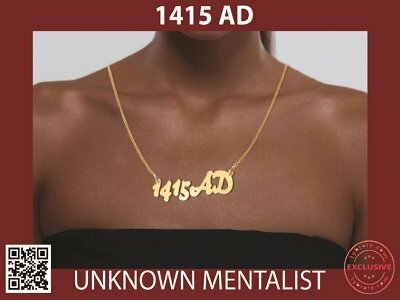 The UNKNOWN MENTALIST has really done a lot of thinking outside the box with this stack. Well done UNKNOWN MENTALIST. I highly recommend this!! !